A 3 day Road Opener Service. This is a simplified version of my larger Road Opener. This Service can be used alone or as a booster to continue or maintain the energy of a larger Service. A Road Opener is designed to clear obstacles from your path. This is powerful Work for removing obstacles and clearing the way to accomplish your goals. I will send petitions to the spirit world on your behalf and focus my concentration through prayer and meditation to remove blockages in your life, whatever their cause may be. Abre Camino is the folk name given to the plant Trichilia Havanensis. The name literally means "road opener". It has been used in Latin American practices for hundreds (probably thousands) of years to open blocked paths. Legend has it that carrying an abre camino stick with you at all times keeps your roads clear and removes obstacles from your path. Abre Camino is used mostly in Spain and Latin America whereas Palo Abre Camino (Eupatorium villosum) is used by Santerian and Palo practioners.There is a Jamaican version of this plant known as Bitter Bush which is often used for brewing beer, as a nervous system tonic and as a stimulant in cases of low zymotic diseases (such as smallpox). 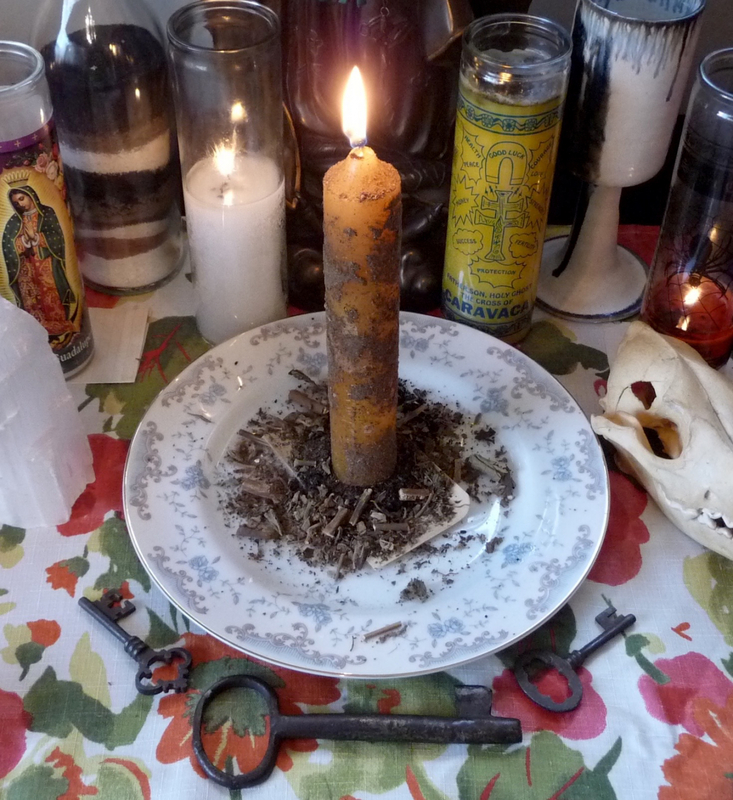 The Road Opener ingredients used in the hoodoo traditions are typically entirely different! 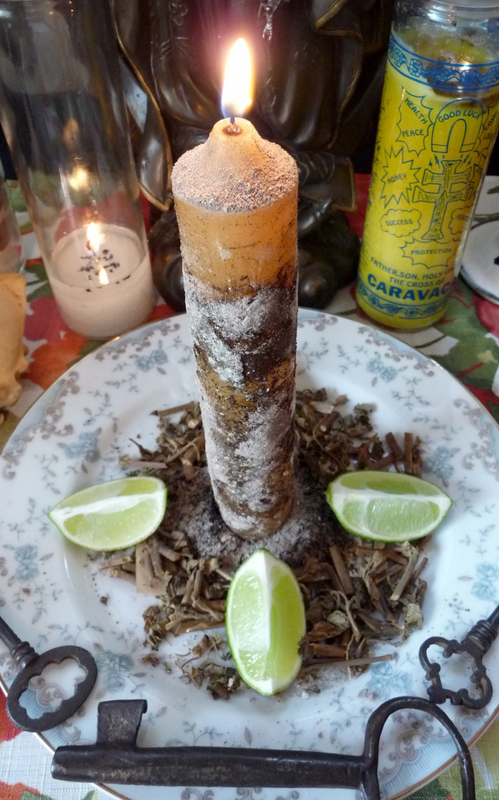 My candles are loaded with freshly made herbal powders which I create from my own recipes and with my own hands! Fresh herbs, resins, flowers, seeds, barks, sands, or curios (as needed) are then added to assist with the Service. My Work is a combination of Spiritual Work and Energy Work. 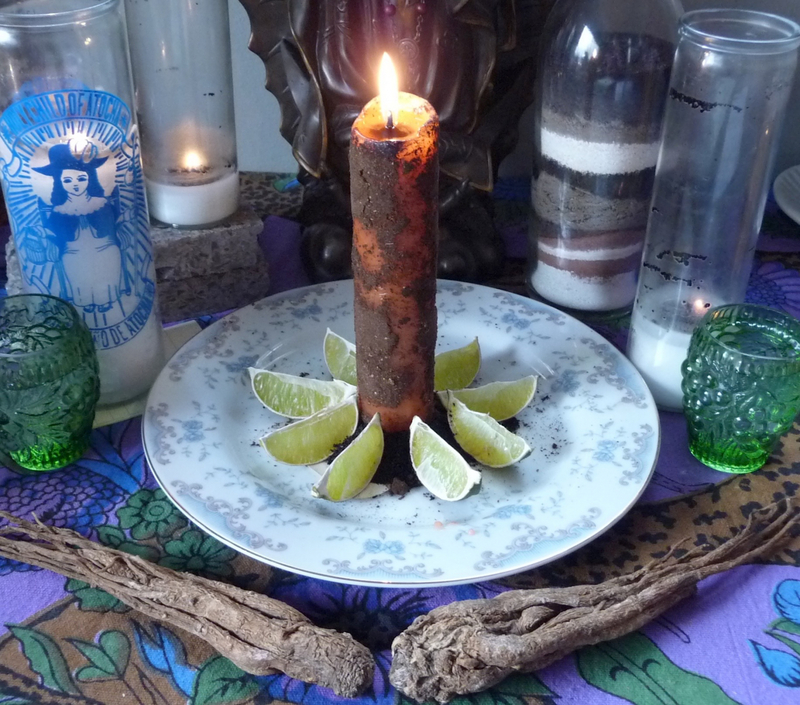 As such, this Candle Service will seek the assistance of my Spiritual Frame, or Spiritual Family. Feel free to contact me if you have questions, I'm friendly! Check out my customer testimonials here.